2019 Ford Shelby F-150 coming to SA! Shelby South Africa announced this week that it will be taking orders for a limited amount of 2019 Ford Shelby F-150 trucks. The announcement mentioned that these will be arriving from the end of 2019 has been met with massive interest. The Shelby F-150s will have a right-hand drive (RHD) conversion and “represents a rare opportunity to acquire a bit of real bakkie history. But we urge prospective buyers to contact Shelby South Africa as soon as possible to avoid disappointment.” – Shelby South Africa CEO Peter Lindenberg said. The Shelby F-150 is powered by a 565kW Shelby engineered supercharged 5.0-litre V8. It has an aluminium performance heat exchanger and an upgraded billet throttle body. Furthermore, it has upgraded high-performance fuel injectors and a Shelby-tuned Borla Performance Exhaust system. The exhaust is finished with dual black ceramic tips. The F150 is based on Ford’s fully loaded US-spec F-150 Lariat Luxury but adds 20″ Shelby engraved alloy wheels. The wheels are wrapped with BF-Goodrich KO 235/12.50R20 all-terrain tyres complete with speedo and tyre sensor recalibration. The Baja option has an exclusive, optional, Shelby-engineered Fox Shock System with Raptor-style 2.5” Fox Aluminium Reservoir dampers on all four wheels. It also features flagship Internal Bypass Technology and adjustable dual speed controls to allow you to tune the truck’s handling. In the cabin, two-tone leather upholstered seats with Shelby Snake embroidered headrests and a console lid can be found. There’s also a carbon fibre interior trim package, deep tinted windows, Shelby floor mats and a Shelby serial number dash plaque. 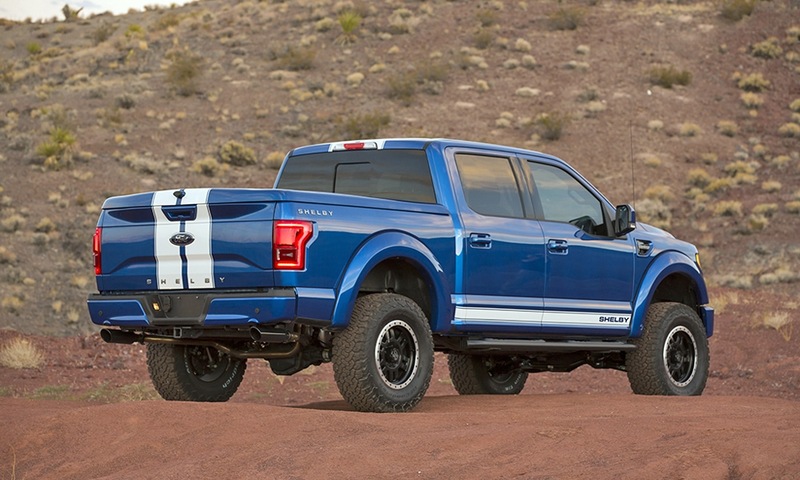 The Shelby F-150 will come with a 3-Year/50 000 km Shelby Warranty. Orders are open only through Shelby SA and pricing is dependent on specification. 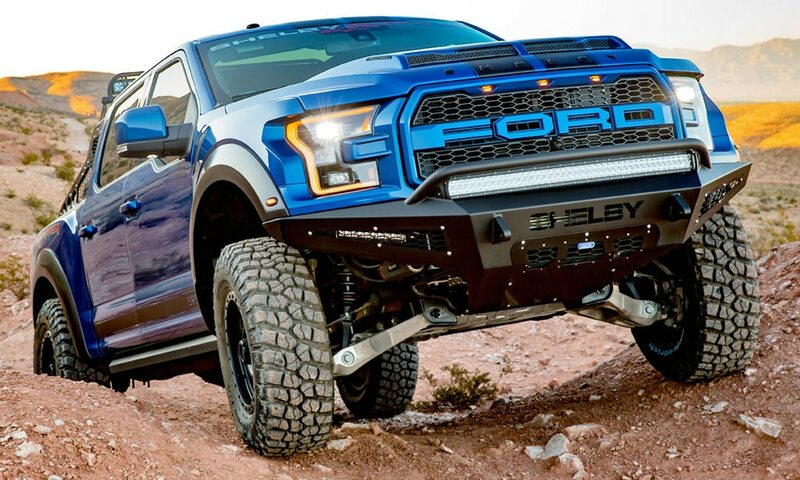 However, it can be expected to range from R2.5-million to R3-million for the top of the range Baja Raptor.